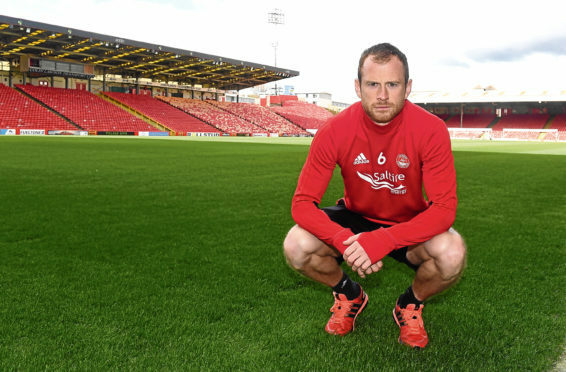 Aberdeen defender Mark Reynolds has been ruled out for the rest of the year after undergoing surgery on his knee. The 31-year-old, who joined the Dons from Sheffield Wednesday on loan in 2012 before making the move permanent a year later, has made 237 appearances for the club. Manager Derek McInnes said the news was a blow. He said: “It’s extremely disappointing that our worst fears were confirmed last night when he went into surgery. “We’re going to be without him for the next six or seven months so it’s a huge blow especially when these things happen in a pre-season game, but injuries are part and parcel of that. “Knowing the character that Mark has, we’re hoping his rehabilitation will be as straight forward as possible.